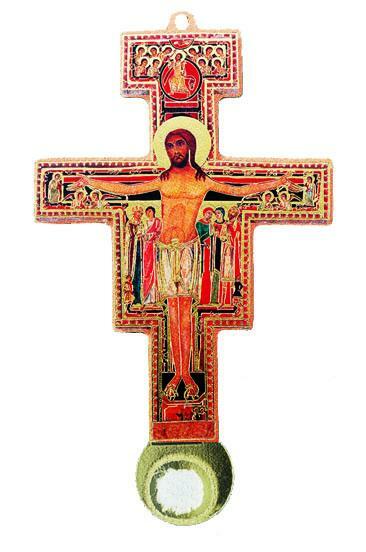 Smaller Crucifixes of all types and varieties, including the popular St. Benedict Crucifi xthat is suitable for wearing or even hanging on a wall. 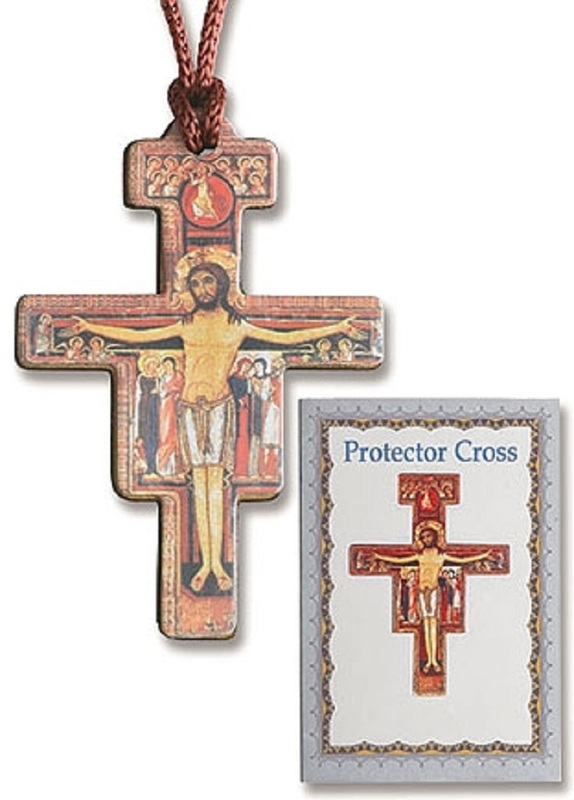 St. Benedict Crucifixes and Medallions - this is a powerful tool against evil! this powerful sacramental. 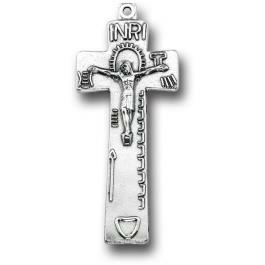 The Crucifi xMedal of St. Benedict is among the numerous mediums holy Mother Church offers to bring help to the dying is this marvelous crucifix. The Church certifies the Cross of a Happy Death and the Medal of St. Benedict. The popes have granted a Plenary Indulgence to this combination. To facilitate the gaining of this indulgence, we have the placement of the smaller Cross of a Happy Death supporting the Medal of St. Benedict, which is placed in the center on the back of the Cross. One of the inscriptions on the Medal brings the wish in prayer form to mind: (Ejus in obitu nostro praesentia muniamur) - which means -We desire you in our hour of death to be our armour by your property and presence. The letters on the St. Benedict Medal signify a powerful prayer of exorcism. Here you will find: St. Benedict crucifix, small wood crucifix, small crucifixes.